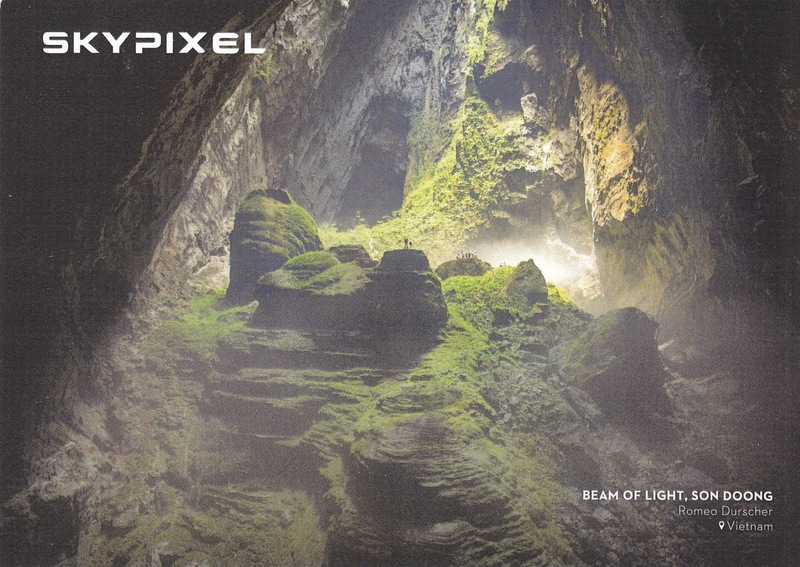 Postcard Beam of Light by Romeo Durscher is one of the SkyPixel series that showcase stunning photos from drones. The photo was taken by a camera on DJI Inspire 1, showing a view beneath the doline or sinkhole that forms the world’s largest cave Son Doong. The Beam of Light came through the opening in the cave's ceiling over 300 meters above.On top of the large stalagmite was Ginger Zee, the weather anchor for Good Morning America and ABC World News Tonight on ABC. Her placement on that rock formation, risen from the cave floor due to the accumulated material from ceiling drippings, gave out a sense of scale and size. Meanwhile, President Obama is in Vietnam for a three-day visit, his first trip to the country and the 10th to Asia. He arrived in Hanoi, Vietnam on Sunday May 22, 2016. Previously, President Lyndon B. Johnson visited U.S. military personnel in Cam Ranh Bay, South Vietnam on October 26, 1966 and December 23, 1967. So did Richard Nixon with an unscheduled six-hour stop outside Saigon, South Vietnam on July 30, 1969. On November 16, 2000, Bill Clinton, who opposed the war in Vietnam, made history as the first U.S. President to visit Hanoi, the headquarters of the North Vietnamese command during the war, now the capital of Vietnam and the country's second largest city. During his three-day visit, Clinton also visited Ho Chi Minh City, which was renamed from Saigon in 1976. George W. Bush was in Vietnam November 17–20, 2006 for the APEC Summit meeting.